Around 100,000 of Hungarians have protested in the capital Budapest against the re-elected right-wing government of PM Viktor Orban. Viktor Orban’s opponents flooded Budapest on April 14 to protest at what they say is an unfair electoral system. A similar number of people attended a pro-Orban demonstration last month. The protests come just six days after the governing FIDESZ party won two-thirds of the parliamentary seats with half of the national vote. 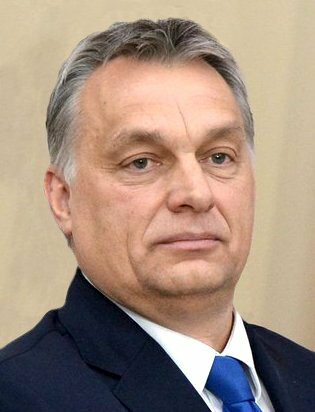 Viktor Orban is a strong Eurosceptic who campaigned on an anti-immigration platform. The march was organized through a Facebook group called “We are the majority”. Following the large turn-out for the rally, the organizers have called for a further demonstration next weekend. A large number of police were deployed in Budapest, including riot officers, however the demonstration remained peaceful. Speakers who participated in the event denounced what they called Viktor Orban’s theft of the election, and the corruption and abuse of power they say characterizes his rule. The protests’ organizers have demanded a recount of all ballots, a new election law, a non-partisan public media, and better organized co-operation among parties opposed to the FIDESZ government. Many of those who marched the streets to the Hungarian parliament were young people. Many parties and movements opposed to Viktor Orban’s government, including the right-wing nationalist Jobbik, participated in the demonstration.